Book your free child car seat check! Register and book a place to get your child car seat checked by an expert road safety consultant. 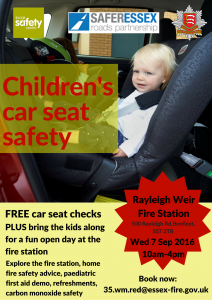 The checks will be taking place at Rayleigh fire station on Saturday the 7th of September.